My life revolves around playing the sport I love, soccer. I play for Westfield High School where I’ll be a senior this year.I was going up for a tackle when I stepped wrong, my ankle was instantly swollen and I limped off the field. Later that same day I came into Indiana Podiatry Group, took x-rays, and met with Dr. Graves. We discussed the x-rays and luckily nothing was broken. We went back to an exam room where he further surveyed my swollen ankle by feeling where it hurt followed by range of motion techniques. 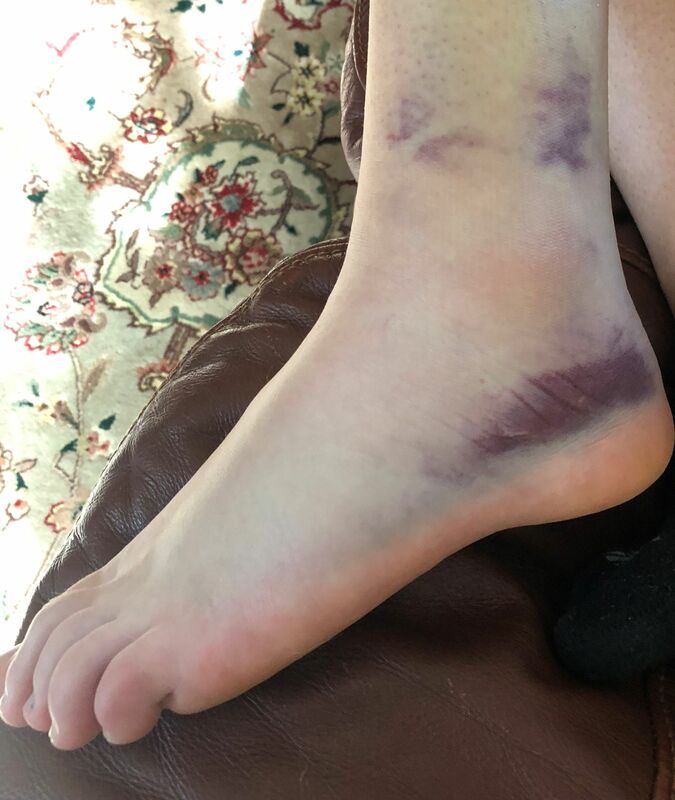 Dr. Graves, by looking at the x-rays and my ankle concluded that I had sprained my deltoid ligament, calcaneofibular ligament, and various other ligaments, along with the swelling on my entire ankle. He then instructed that I needed to get the swelling down by RICE, wear a boot, and that I wouldn’t be able to exercise my lower body for at least three weeks. Three weeks passed and I went back into the Noblesville office to consult with the Doctor on how my ankle was doing. During that visit he explained that I could slowly start exercising again and that I would be wearing a brace for another three weeks. I continued icing and working with trainers at the school. I ended up mainly doing things with range of motion, balancing, and a lot of icing. About a week and a half in the swelling stopped decreasing so I ending up taking an anti-inflammatory medication which helped reduce much of the final swelling. I am now playing soccer again and have almost fully recovered.